Last night I had goosebumps and it was nothing to do with the cold Melbourne weather. 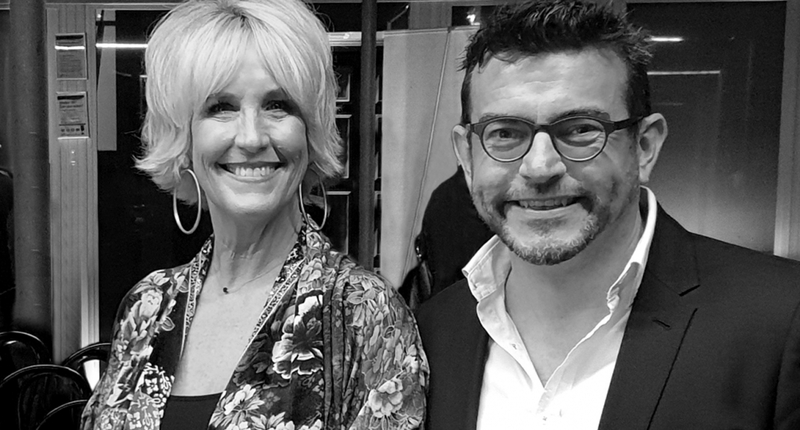 I was fortunate enough to be invited by Shine Lawyers to spend the evening with the incomparable, unstoppable Erin Brockovich. It’s hard to believe that it’s been 18 years since Julia Roberts picked up an Oscar for her portrayal of the rookie legal clerk’s crusade against corporate American wrongdoing, but hearing the enthusiasm and energy of the real Erin for standing up for what’s right made it seem like last week. The movie was a blast. But the real story was no picnic. Listening to Erin speak, you can feel the anger, frustration and all-out despair of the people she set out to help. But that’s not all they felt. Fear was right there, front and centre and had a stronghold on the people of Hinkley. Brockovich spoke passionately of the fear that holds so many of us back when we think we will be made to look ignorant or will be put down, belittled or rolled over by the system. It’s this fear that keeps us from speaking up and standing up for ourselves. And it is fear, I strongly believe, that unfortunately guides and directs so many of the decisions made (or not made!) in our business environment today. The good people of Hinkley, California were stupefied by their fear of the system until whirlwind Erin strode and into town, took up arms and helped to pull off the biggest settlement ever paid in a direct-action lawsuit in US history. But it could so easily have been a very different story. Crucial to this success was being able to persuade a large group of terrified individuals to put their fears aside and trust in the capability of an unknown David to overcome a very big and powerful Goliath. No mean feat indeed. I asked her how she did it. Just what does she believe, is the secret sauce when it comes to the art of persuasion? It comes down to three simple things, replied Brockovich: “It’s all about trust, respect and understanding”. Trust is paramount. Your client has to be able to look into your eyes and feel genuine trust. To feel in their gut that you’re on their side and you’ll be true to your word. Brockovich tearily recalled a time when she lied to her father and the resultant break in trust that then lost her his respect at the time. And that brings us to respect. Your client may not be an unemployed mother of sick children in Smalltown USA, but their need to feel that you respect them and their situation is no different. Now, more than ever, Brockovich believes we need to foster the deep, human connections between us – “What connects us, has always connected us, is our humanity”, she states with conviction. In an age where technology helps us achieve wonderful things, we are in danger of losing sight of this. If we hope to be able to influence and persuade others we must make sure that we demonstrate real respect for them and their situation. That takes real empathy and a suspension of judgement. And finally, understanding. In our rush to bring people on board with our point of view or plan of action we can all too easily ride roughshod over their fears, anxieties wants and needs. “Pull back,” says Erin. “Read the signals and recognise when they’re ready or need more time to think”. As someone so passionate about her work, she does find this a constant challenge and I must admit to being guilty of this too. When we find a solution and want to run headfirst towards it, it is so easy to get impatient with others when they hold back. But to be persuasive it is vital to retain a real understanding and appreciation of where the other person is at. How they’re feeling. Allow them time to think things over and come on board at their own pace. As difficult as this can be for some of us, it’s fundamental to the art of persuasion, Brockovich style. So there we have it – three very basic, but ever so easily overlooked components to being persuasive from someone who has mastered the art: Trust. Respect. Understanding. Keep these in mind the next time you’re pitching your case and you’ll be halfway there. Erin Brockovich is in Australia as an ambassador for Shine Lawyers and you can read more about the important work she’s undertaking here.